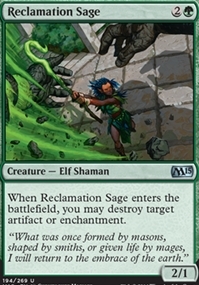 Reclamation Sage ($0.24) Price History from major stores - M15 - MTGPrice.com Values for Ebay, Amazon and hobby stores! Card Text: When Reclamation Sage enters the battlefield, you may destroy target artifact or enchantment. 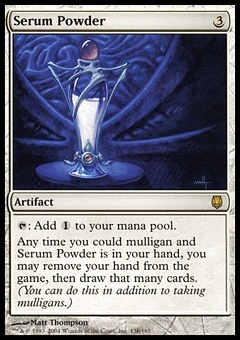 Flavor Text: "What was once formed by masons, shaped by smiths, or given life by mages, I will return to the embrace of the earth."